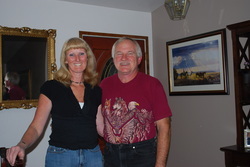 Gentle Giant Meadows Ranch sits on 40 beautiful acres where raise Jersey cattle and sheep. We sell our Jersey heifer calves for future use as a family milk cow. Our sell our lambs which are all pasture raised and grass fed. Dependent on the weather and growing season, we may have a variety of seasonal fresh fruit for sale from our orchard and small vineyard. Inquires are welcome. Please feel free to use the form below to contact us. Thank you for your support. 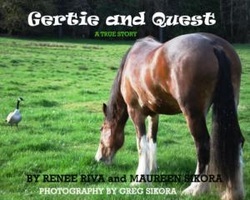 We still have copies of Maureen's book "Gertie and Quest: A TRUE STORY" available. Order your copy below and beat the Christmas rush. Place your order in the contact form below. We will contact you via email for full information to deliver the book(s). Thanks for being patient with the process.